Nexus Parking Systems welcomes you to the Hamilton Station Parking Facility. Hamilton Station, one of New Jersey Transit’s newest built stations, opened its doors to the public in 1999 and has become one of the finest transportation hubs on the entire northeast corridor in a few short years. It now plays host to about 4,000 commuters daily. 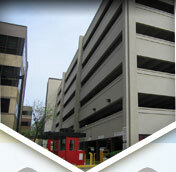 Our NEW state of the art parking deck opened in November of 2007, and has 2,066 spaces available. The surface lot opened in 1999 and has approximately 1,556 spaces. Conveniently located on Sloan Ave. just off I-295 at exit 65B, it offers a variety of transportation means to get commuters where they need to go via train, bus and taxi along the Northeast Corridor Line. Hamilton Station Parking Facility is designed for convenience and ease of use keeping busy commuters in mind. 5. Park in any available space not labeled Reserved Parking or otherwise noted. 2. Retrieve vehicle and proceed to exit. 4. Fee due will be displayed on LCD screen and your credit card will be charged. 5. Remove credit card and your receipt once it is printed. 6. Exit the garage after gate raises. 1. Drive up to entrance station and press blue button for a ticket. 4. Park in any available space not labeled Reserved Parking or otherwise noted. 2. Retrieve vehicle and proceed to exit pay station. 4. Fee will be displayed on LCD screen. 5. Insert credit card into same slot. 6. Remove credit card and receipt once printed. 7. Exit the garage after gate raises. 6. Exit the garage after gate raises. 2. 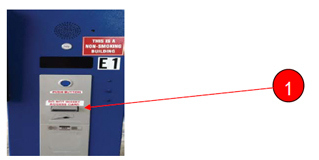 Keep the ticket with you in a safe place since you will need it at the exit pay station. 3. 3. Enter garage after gate raises. Park in any available space not labeled Reserved Parking 4. or otherwise noted. 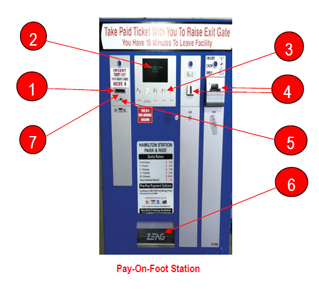 Stop at pay-on-foot station in lobby before going to your vehicle. 3. If you need a receipt, press the Receipt Button prior to inserting your cash. 4. Insert cash where indicated. Pay station accepts coins and bills up to a $20 bill. 5. Or insert credit card where indicated, card will be returned and a receipt printed automatically. 6. If you paid by cash, collect your change and receipt in the receptacle at the bottom of the machine. 7. Retrieve your PAID TICKET where it was inserted. YOU WILL NEED YOUR PAID TICKET TO EXIT THE GARAGE!!! 8. Retrieve your vehicle and proceed to exit station. 9. Insert Paid ticket into slot. 10. Exit garage after gate raises. For monthly parking availability please call 609.689.9350. Take ticket to enter garage. Take the ticket to any pay station in lobby near elevators. Press PRE-PAY button anytime between 3 a.m. – 10 a.m.
Insert Ticket. Pay with credit card or cash. Push receipt button for receipt. 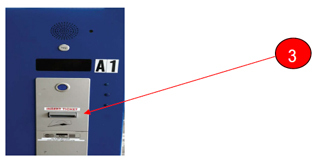 Take "Paid Ticket" with you to insert at exit station when leaving. Provides 18 hours to exit the garage after paying. Daily rates apply if exiting after that time. With the rental of this space, you will be issued a 24-hour access card which requires a $35.00 processing fee. The Account Information Change or Cancellation Form requires the use of Adobe Acrobat Reader to execute electronically. Chrome users: please right-click the PDF file after downloading and select "Always open in Adobe Reader" to ensure that you will be able to fill and execute these dynamic PDF documents. 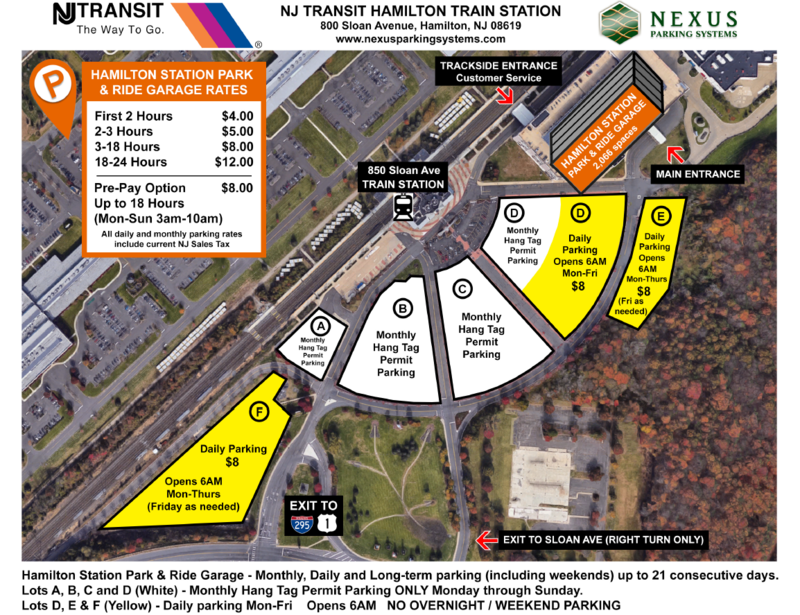 Coming Soon: Convenient local services around Hamilton Station Park & Ride.